No landscape is ever complete without the lush greenery and color provided by a beautiful garden or soft-scape. 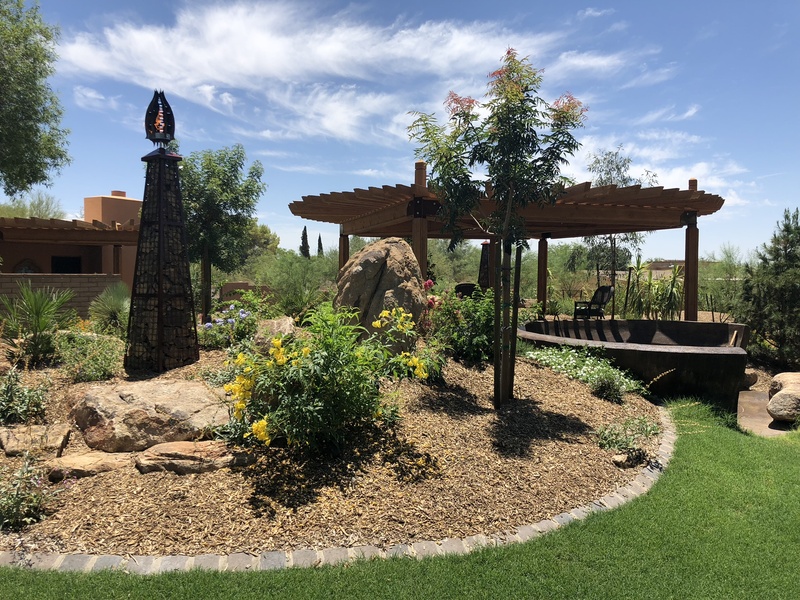 Adding a natural backdrop to your outdoor living areas, trees, plants, sod and flowers work together to create lush scenery that soothes the senses and softens the foundation of your front or back yards. With creative solutions that work with the desert landscape, Mountainscapers’ landscape designers work to incorporate natural greenery and gardens into landscapes as they serve as home to native wildlife, provide shade over functional areas of your yard and form a lush oasis for you and your guests to enjoy year-round.